The CleverShade is an ideal shade solution for many personal uses while you’re out and about. 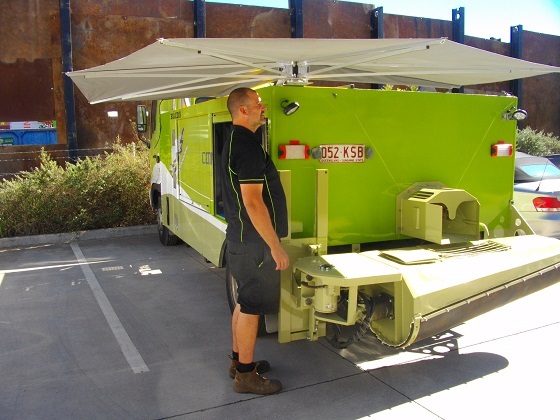 We’ve also supplied it as a mobile business shade to several companies and small businesses over the years. Our friends at Concrete Taxi have been more than happy with the cover they’ve received from their CleverShades. Whether you own a food truck, coffee van, mobile dog washing trailer or any of the other mobile businesses out there today: if you’re working in the sun, you should be protecting yourself as best you can. Most of all, the CleverShade is so quick and easy to set up you’ll wonder why you haven’t had one for years. No matter what sort of vehicle your business requires, we can make or modify a CleverShade to suit your needs. 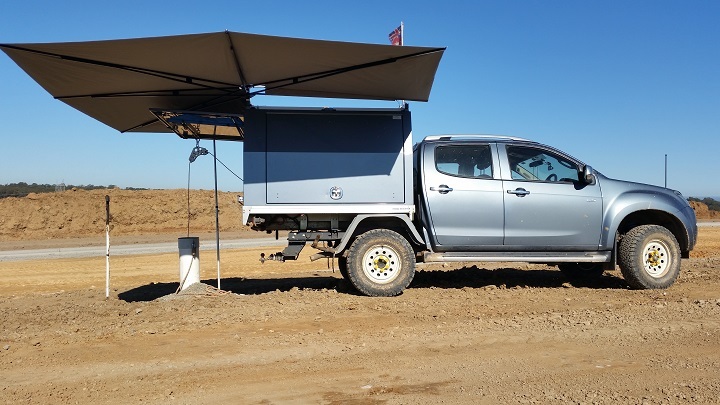 If your line of work means you spend a lot of time out in the sun, then a CleverShade can keep you protected from the elements. One of our happy customers sent in the above photo and is much happier working in a shaded environment. Due to the user friendly design of the CleverShade, you won’t have difficulty attaching it wherever you need in just 30 seconds. In contrast to other models which weigh close to 30kg, the CleverShade is a lightweight beast coming in at a tiny 16kg. Despite this, it’s incredibly sturdy and can withstand strong winds of up to 40km/h. Additionally we’ve provided shade to firetrucks, electoral promotion vehicles and dedicated outback enthusiast 4WDs. Seems like you’re on the lookout for mobile business shade and think that the CleverShade is the perfect solution. To protect both yourself and/or your customers from the sun, simply fill in the contact form below. We will get back to you as soon as possible so we can get the perfect shade for your needs.